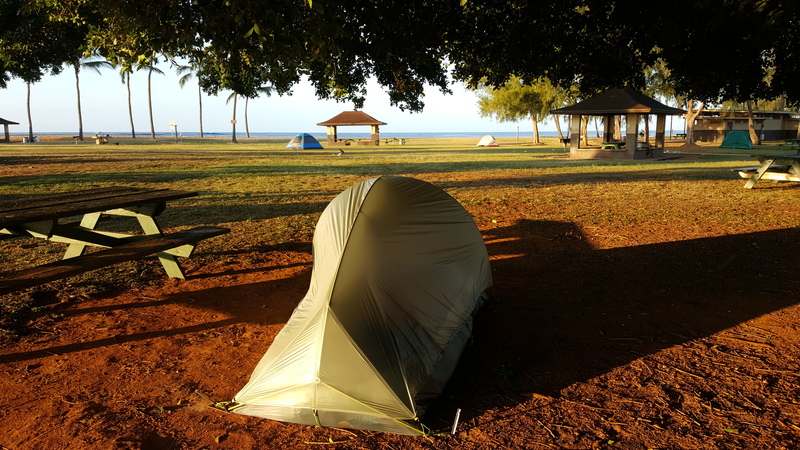 Camping is an amazing way to spend time in Kauai and to really take in the beauty of the island. In addition to seeing the best of Kauai, it is a great way to save money while visiting this island. With that said, booking a campsite is not as easy as we first anticipated. The permit system for Kauai camping is not centralized. As a result, depending on which department has oversight (county, state, etc…), there are different methods for booking a reservation. 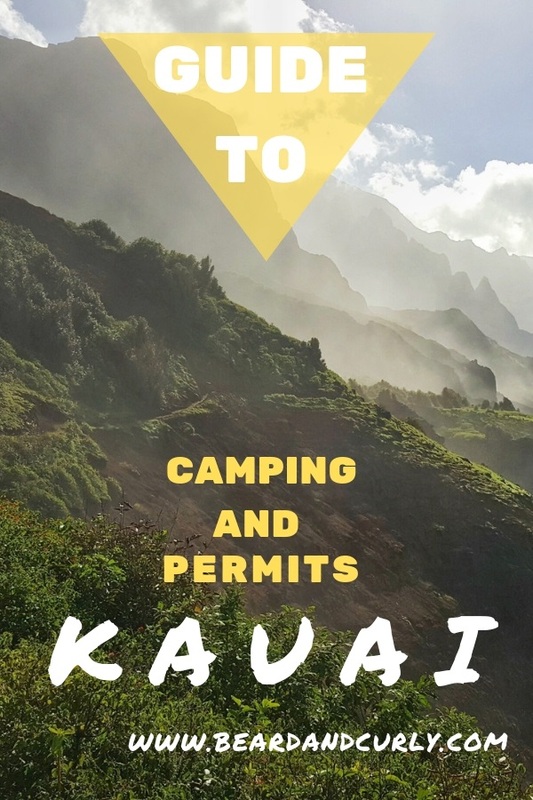 It can get a little tricky, so this ultimate guide to camping and permits in Kauai will cover all the options for you! If you are not planning to bring your own gear for camping, don’t exclude camping as an option. There are several places to rent all the camping gear you need. Gear rentals depending on the type of equipment can be rented between $25 and $40 per day from Kayak Kauai, Just Live, and Kauai Adventure Camp. Purchase fuel canisters (i.e. MSR) in Lihue from Wal-Mart or Kmart. Tent ($60 – $80): Budget Coleman tent, Budget but good quality ALPS Mountaineering tent, or high-end Mountain Hardwear tent. Sleeping Pad ($30/each): Basic camping mat or a mid-range Thermarest camping mat. 2 Camping Chairs ($30): It is better to buy camping chairs in Kauai unless you invest in good camping chairs such as these amazing Helinox chairs. Camp stove + Butane ($25): MSR Pocket Rocket is the most portable stove, just buy Isopropyl fuel in Kauai. Head torch/lantern ($10): Budget head torch. County permits are $3 per person per night for non-Hawaiian residents (free for Hawaiian residents). There are seven county campgrounds on the island at different beach parks. To get permits apply in person at one of the four locations: Lihu’e, Kapa’a, Kilauea, Kalaheo, and Hanapepe neighborhood centers. Campsites are closed 1 or 2 days per week for cleaning and the locations to get the permits are also open for limited hours. Find out more information at the county website. 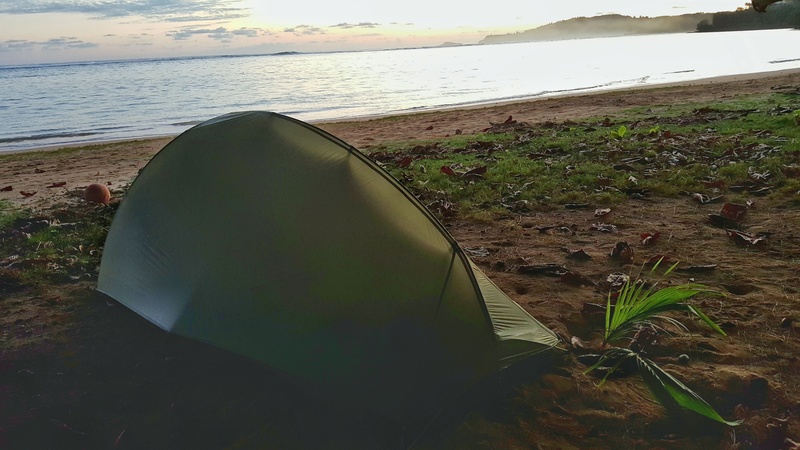 Our favorite campgrounds for camping were Salt Pond, Anini Beach, and Haena Park. Some of the county campgrounds are known to have some homeless people as well as people on drugs. If you do not feel safe, do not stay the night. 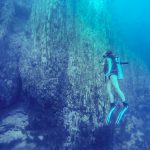 We preferred Anini and Haena Park the most in terms of comfort and safety. Camping permits for backcountry locations can be obtained in person at 3060 Elwa Street (room 306) at the Forestry and Wildlife office. Backcountry camping is available in Waimea Canyon but not in Koke’e State Park. The permits are free. The office can help with information on hiking trails and places to camp. 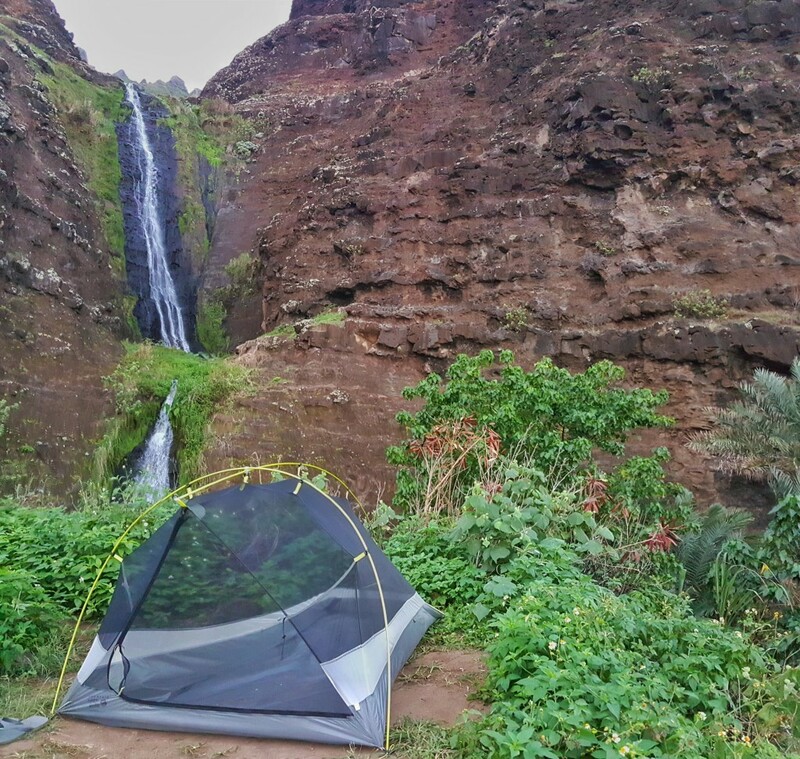 There are several locations available for backcountry camping in Waimea Canyon. Camping within Kauai state parks cost $12 per campsite for Hawaiian residents and $18 per campsite (up to 6 people) for non-residents. The only exception is camping within the Na’Pali Coast State Park on the Kalalau Trail, which costs $20 per person/night. There are three excellent state parks to explore with camping options. If county campgrounds are not your cup of tea, the state park campgrounds are safe, spacious and usually more private. Permits can be obtained in person at 3060 Elwa Street (room 306) at the Department of Home Lands or book ahead. 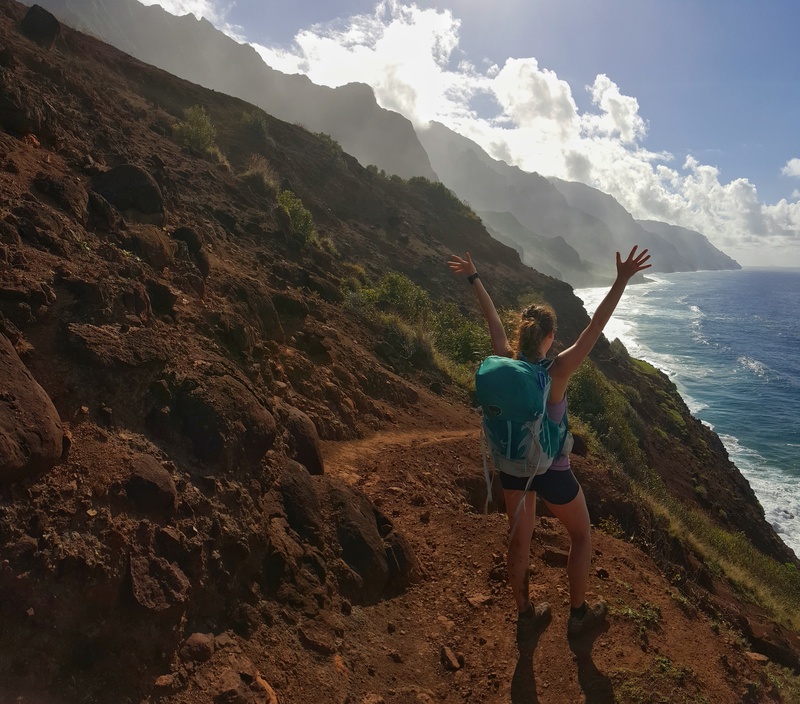 For more information on the Kalalau Trail, read our Ultimate Guide to the Kalalau Trail. Koke’e is accessed from the town of Waimea. With endless amounts of hiking, coastal views, mountains, and lush jungle, this is the best state park to explore in Kauai. 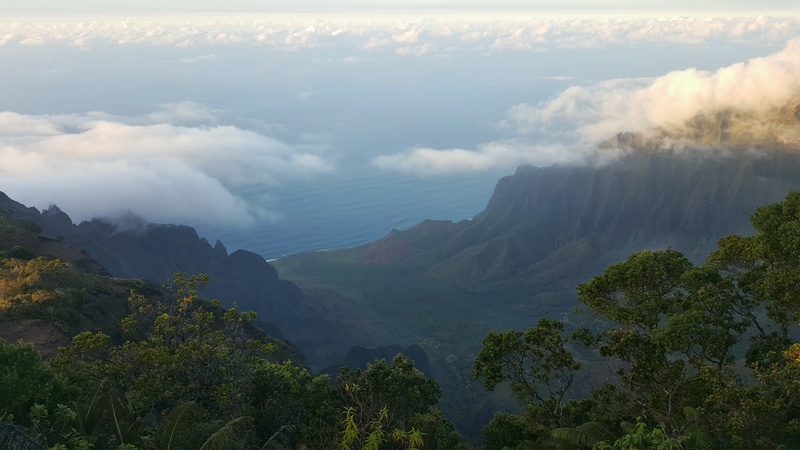 There is a wonderful scenic drive to the Kalalau Lookout. Don’t miss the Cliff Trail and the Awa’awapuhi Trail. There is one campground in Koke’e. 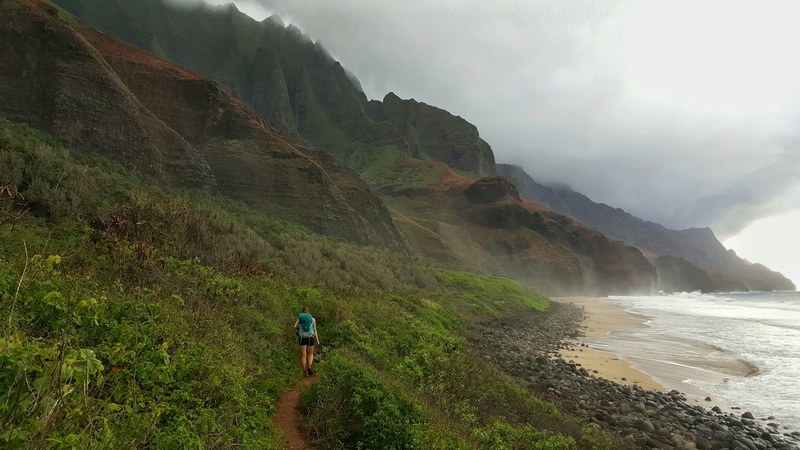 The Kalalau trail, on the Na’Pali Coast, is one of the most famous hikes in the U.S. 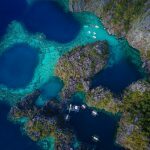 It boasts amazing coastlines and lush valleys filled with waterfalls. The Kalalau can be visited as a day hike for the first 6 miles, beyond that, it is required to get a permit. Camping costs $20 per person per night and must be reserved ahead online. Polihale State Park is on the northwest corner of Kauai. This beautiful long stretch of beach is accessed by a dirt road. It can be reached by 2WD car. However, if rain has recently occurred, driving may in impassable in a small vehicle. There is a designated area for camping. This is pretty remote and far from any stores, so make sure to stock up on all your provisions and enough water for your entire stay. Osprey Men’s 70L Aether Pack – The best backpack out there! Osprey Women’s 40L Tempest backpack – a great backpack for hiking and traveling! Mountain Hardwear Ghost UL 2 Person Tent – Ultra lightweight and compact for travel! Natrapel 3.4oz bug spray – DEET free and it works great! Links to products are affiliate links. 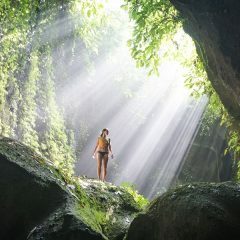 If you consider buying any hiking gear, please consider buying through the affiliate links on this page. You won’t pay for anything extra at all, but we will receive a small commission (usually 2%-5%) to help run the website. We appreciate the support!